A garden planting schedule is an ideal tool to use to know when to start planting your garden. Because of temperate and climate zones, the planting season differs from one location to the next. Planting too soon could mean the loss of your plants if a frost occurs. Although this type of schedule can offer some guidance to an individual who wishes to plant a garden, it is important to note that it is only a guideline. Seasons and weather conditions vary a great deal from one year to the next and from one location to the next. Therefore, this type of schedule is not a hard rule to follow. It is up to the gardener to make wise decisions based on experience and local resources, such as a local professional. In the northern states, the ground becomes too cold to work through much of the winter months. Consider this basic guideline to help you with gardening in this area. During January and February, gardeners can begin sowing seeds indoors, which will later transplant to the garden. Proper soil and temperature monitoring is necessary. In March, some types of gardens can begin planting, especially in the lower, northern states. Vegetables to plant includes beets, onions and potatoes. 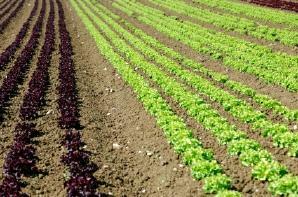 April and May is the ideal planting time for most vegetables in the northern states, though in states such as Maine, New York and along the Great Lakes, it may take another month before plants can be safely planted here. June and July are ideal months for growing. Those vegetables that require less time to grow, such as beans, melons, strawberries and cucumbers are available for planting now, too. August and September are harvest months, though some squashes will continue to grow throughout this time and into October. In some areas, it is possible to sow corn or other plants in hotbeds indoors. October is the ideal time to start cleaning out the beds and preparing to overwinter plants. For example, tops of asparagus need to be removed. You can do onions in some areas, which will overwinter and produce in the early spring. November and December are often colder and are less likely to be good times for planting. However, carrots can be stored in cellars in pots of soil or sand. Similar foods such as potatoes and squash do well like this, too. The southern states have far more planting and harvesting time than those in the north. If you live in the south, use the following resources to help you to local planting schedules for your state. HomeGardenDesign.info is an excellent, month-by-month explanation of the southern planting schedules. GardeningKnowHow.com also provides information, instructions and plans for southern gardening, especially during the fall months. Alabama A & M and Auburn Universities produced a PDF guide for planting a home garden in Alabama that is ideal for states throughout the area. A garden planting schedule will provide you with guidelines on when you can begin to plant the vegetables that do well in your area. While the above guidelines are basic, you may want more specifics by the zone you are in. Each area of the country receives a zone based on climate and weather conditions throughout the year. You can determine which zone you are in by visiting the National Gardening Association's website. Your zone, or hardiness zone, provides you with guidance on what types of plants you can plant in that climate and when to do so. Most plants you purchase at a gardening center, for example, will list the hardiness zones on the packaging. With this information in hand, you can then use a schedule to help you to pinpoint when you should start planting and planning. If you are still curious or need more information about garden planting schedules, consult with a local garden professional, such as one at your local garden center. Talk to local farmers, too. These experts can give you local information you need.